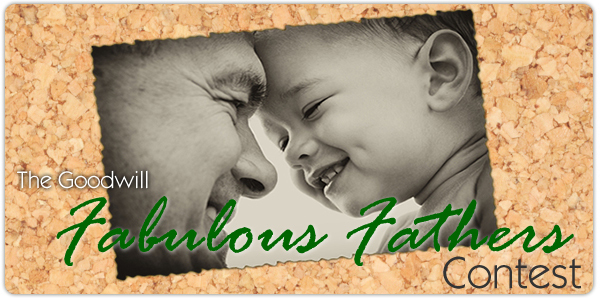 We asked you to tell us what makes your father fabulous, and after reading hundreds of heartfelt entries we were able to narrow it down to the following winners. The first place winner will receive a $100 gift card to Darden Restaurants (Red Lobster, Olive Garden, LongHorn Steakhouse, and more) and a $50 Goodwill gift card. The two (2) Runners Up will each receive a $25 Goodwill gift card.